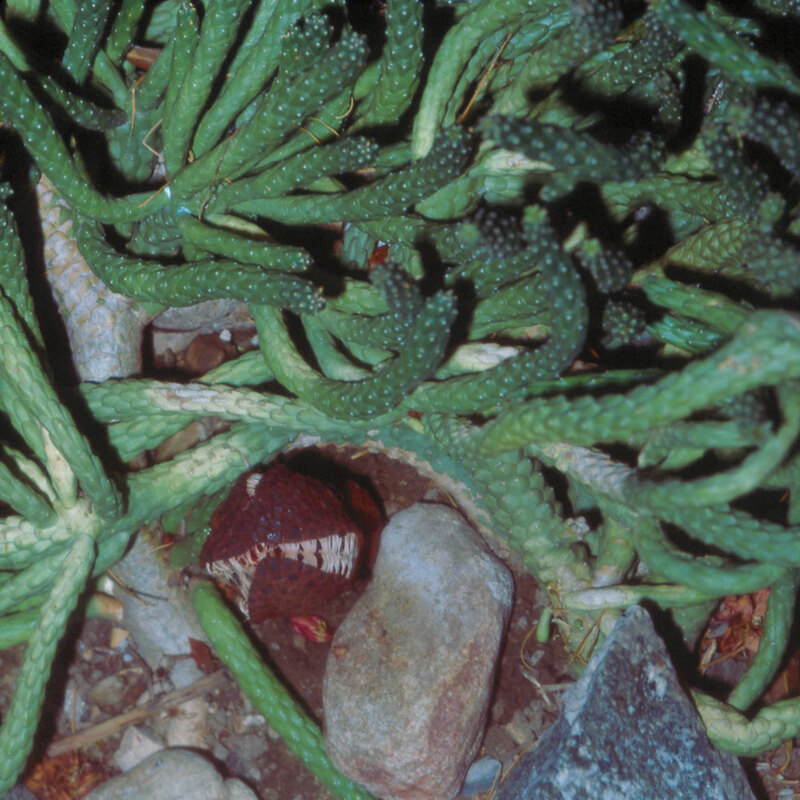 At first glace, this appears to be a picture of a green succulent, Euphorbia caput-medusae, viewed from above the plant--and it is. But next to the gray stone near the bottom of the photo is a brown flower. 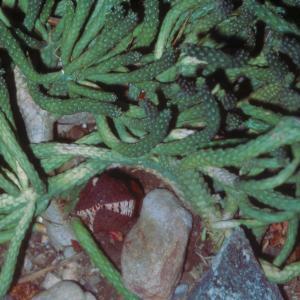 It belongs to a root parasite, Hydnora africana, which lives on the Euphorbia. Hydnora, from Africa, belongs to a family, Hydnoraceae that also includes a New World genus, Prosopanche. The relationships of this family were quite uncertain, but recent molecular data suggest that Hydnoraceae is a "basal angiosperm," among the more primitive of flowering plants. Parasites are often so highly modified, compared to their non-parasitic relatives, that their relationships are difficult to determine.